Go ahead and indulge in these brownies as they are loaded with protein! 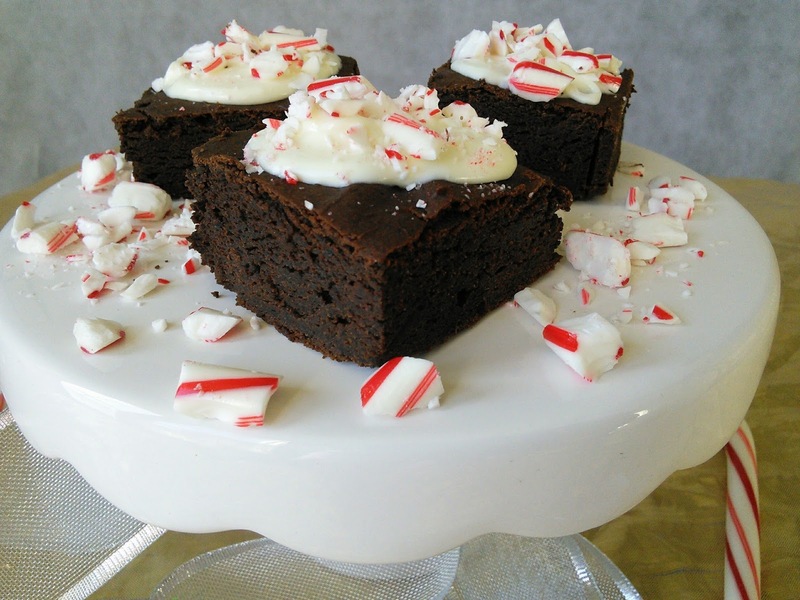 The holidays are almost here and I have a healthy Gluten Free Peppermint White Chocolate Brownie recipe to share with you. These brownies are also high in protein. So go ahead and indulge in this holiday treat. These brownies are moist and so decadent and have a wonderful chocolate peppermint flavor. 1. Add all of the ingredients into a food processor. 2. Blend until completely smooth, scraping down the sides as needed. 3. Spray an 8 x 10" baking dish with nonstick cooking spray, and line with parchment paper. The parchment will help you lift the brownies out later. 4. Pour the batter into the prepared dish and spread it out evenly. 5. Place the dish in the center of the oven and bake for 30- 45 minutes or until a toothpick inserted in the center comes out clean. 6. Remove the brownies from the oven and let them cool in the pan for 15 minutes. 7. Using the parchment paper, lift the brownies out of the pan and place them on the counter. 8. 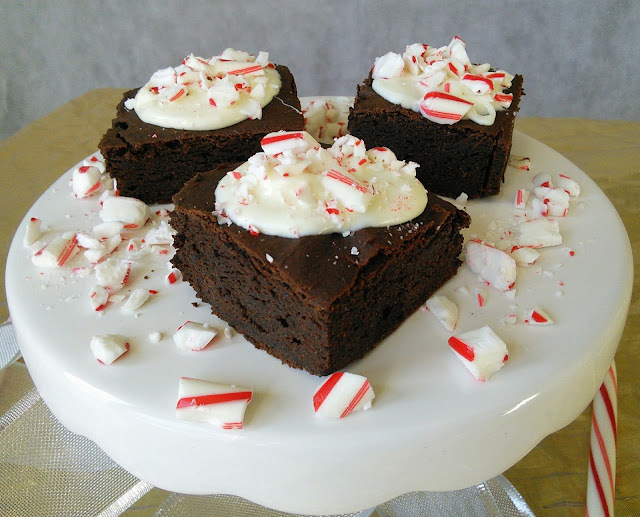 Frost with melted chocolate chips and sprinkle the crushed peppermint candies on top. Place the white chocolate chips in a microwave-safe dish. Cook the chocolate on high in 30 seconds increments until melted, stirring in between. Notes- The protein powder that I used is equal to 40 grams of protein. These look fantastic. I have a lot of friends with food allergies, it is nice to have a recipe I can make for them! I'll bet these have a lovely cocoa flavor. Love the use of peppermint, too :) Pinned to my gluten free board. These look so good. One of my oldest friends has daughters who are both celiac so I am going to share this recipe with her. I bet the girls would go crazy for it! Thanks! It's great that these are healthier versions and gluten free too. I know a few people that would love these special treats. Absolutely delicious! I love peppermint and chocolate! Those are amazing looking! Thanks for sharing the delicious recipe. I will have to give these a try as they look so delicious! Whoever reads the article will want to express his thoughts, I think it is really cool and new to me, maybe I should take the time to learn about it.